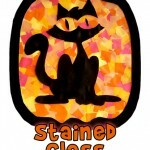 This fall themed printmaking for kids art project combines printmaking and contemporary art into a useful craft that can be repurposed for holiday cards for Halloween or Thanksgiving. 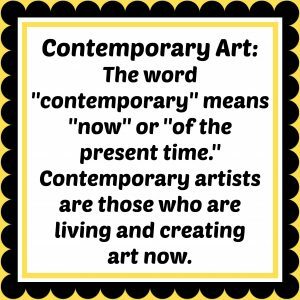 You might also like our modern art greeting card art project, inspired by Matisse! 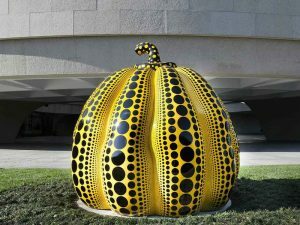 Yayoi Kusama is the featured artist for this project and in particular her yellow pumpkins. Kusama is a Japanese artist that is most known for her use of polka dots. She started creating art at an early age. At age 19 she went on to study traditional Japanese painting. She was frustrated with this very distinct Japanese style and became more interested in European and American non-traditional art. 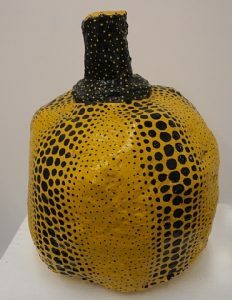 Kusama depicts abstracted natural forms in many mediums working mostly on paper. She began covering surfaces with polka dots, which became a trademark of her work. 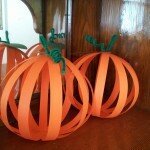 A popular subject matter in her artwork is the pumpkin. 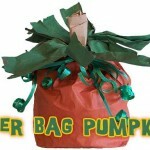 She works in many different mediums including painting and sculpture. 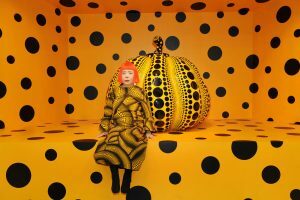 Her yellow polka dot pumpkins are currently traveling through five North American museums. Dallas Museum of Art. 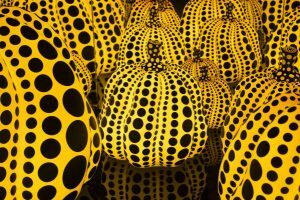 Yayoi Kusama: All the Eternal Love I Have for the Pumpkins. The first step is to prepare our blank cards. 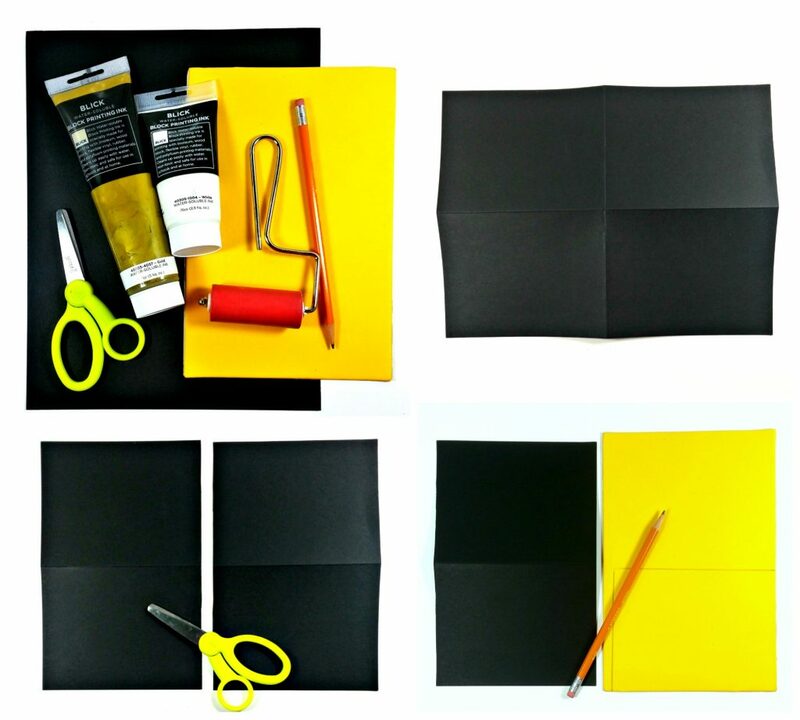 Fold the black cardstock in the middle both horizontally and vertically. Next, cut the paper in half (on the longest side of the paper) to create two blank cards. 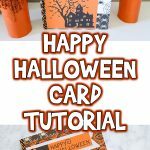 Make as many cards as you’d like. 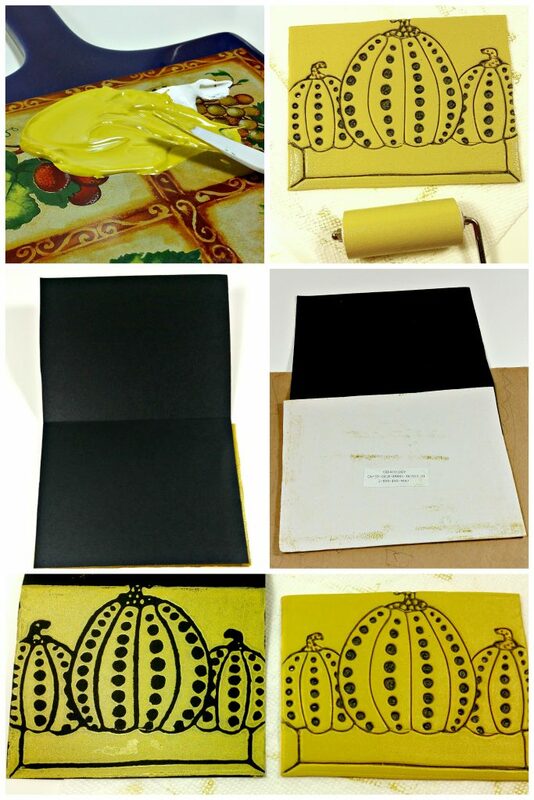 You can use a variety of colored paper but I suggest using darker colored paper if you print in yellow or gold ink. Trace one half of the card onto the foam sheet and cut out a rectangle of foam that is the same size as the front of the blank card. Time to create the drawing to print on our cards! It’s best to approach the drawing in two phases. 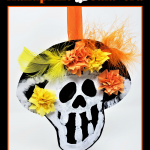 First, lightly sketch your drawing onto the foam sheet to create the design you want. I used a mechanical pencil for this part. Second, use a dull pencil to draw over the sketch with heavy pressure to create deep grooves for the lines and patterns of the design. This is the how the design will print on our cards. Remember that with printmaking, your print will be the REVERSE of your drawing. Next, it’s time to print! Use a smooth ceramic or glass surface to mix your paint. I didn’t have any yellow printmaking ink on hand so I mixed some gold with white. Roll the brayer through the ink to evenly cover it. (It will make a distinct sound like something sticky as you roll it when the consistency is just right). It’s very important to have a thin but consistent covering of ink that is not too thick or it will fill the grooves of your drawing. We want the ink to only over the flat portions of the foam and not fill the grooves. Roll the ink onto the foam sheet to completely cover it and gently place the front of a blank card on top of the foam sheet. Lightly smooth your hand over the card to make sure the foam sheet makes good contact with the paper. Be careful not to slide them around. 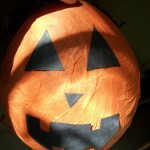 You can gently turn it over to also apply smooth even pressure to the opposite side. Gently peel the foam sheet away from the card. Presto! You just printed a card. Repeat the process to print as many cards as you would like. 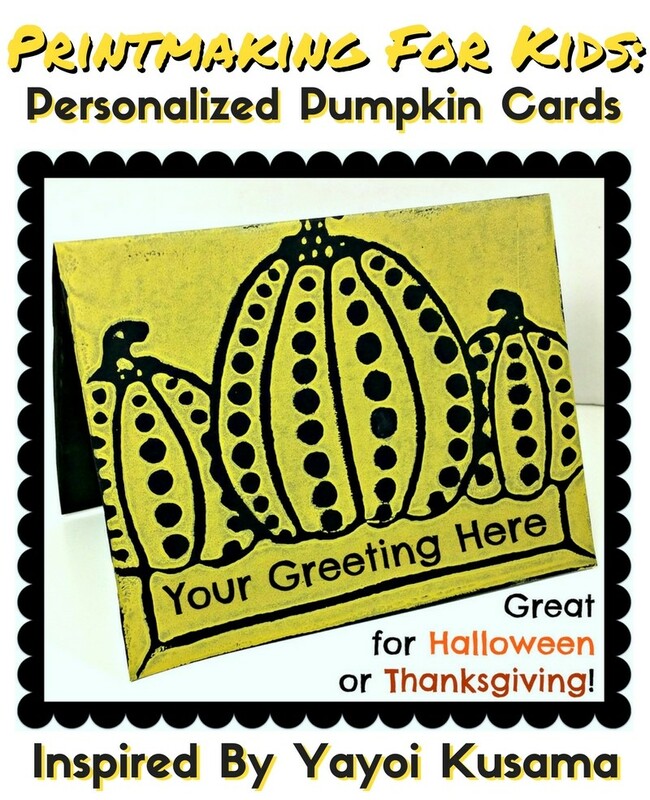 Allow your cards to completely dry before personalizing them. Once the ink is dry, you can easily write on top of it with a Sharpie marker or even colored pencils. 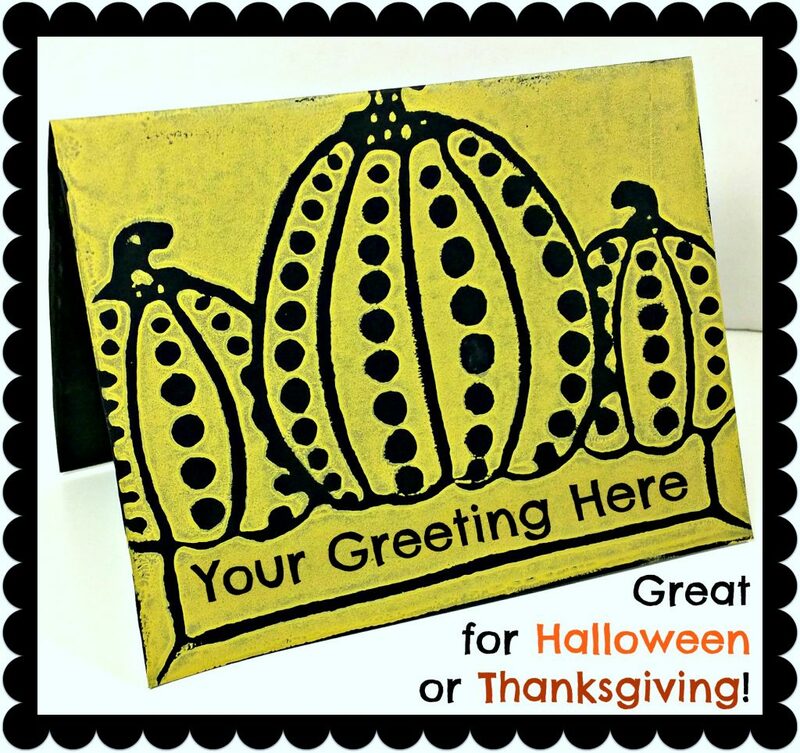 These cards are perfect for a holiday greeting or Thanksgiving place cards for the dinner table!